Joshua M. Stern, MD, Associate Professor of Urology, is a specialist in complex endourology and minimally invasive surgery. Dr. Stern obtained his MD degree from Cornell University. He completed his his internship in General Surgery at Mount Sinai Medical Center. Dr. Stern served as resident in urology at the University of Texas, Southwestern, and completed fellowship training in minimally invasive robotic surgery at the University of Pennsylvania. Before joining Montefiore in 2012, Dr. Stern was a Clinical Assistant professor of Urology at Tufts Medical center in Winchester Massachusetts. Dr. Stern’s research focuses on the connection between kidney stone disease and the gastrointestinal microbiome. He is the recipient of the Carl W. Gottschalk Research Scholar Grant for the support of his work on the origins of human kidney stone disease. 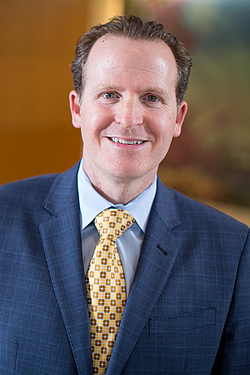 Dr. Stern is Board Certified by The American Board of Urology and is a member of The American Urological Association.